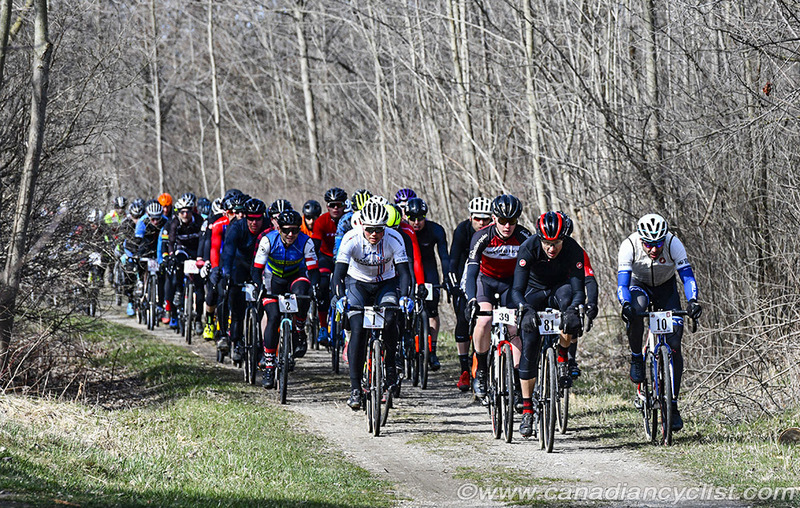 The 25th edition of the Paris to Ancaster cyclo-sportif saw approximately 3000 riders take to the trails and roads in southern Ontario for this now traditional season-opener. 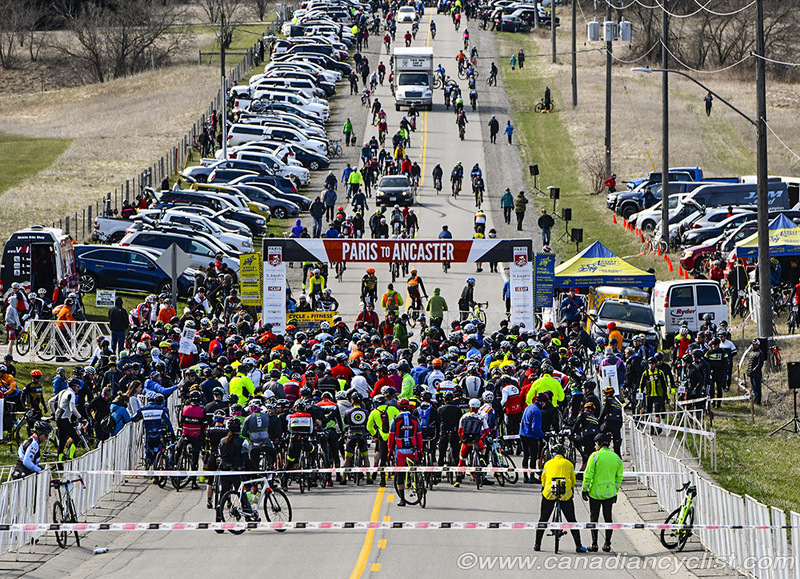 Riders had sunshine, but faced cold and gusty crosswinds for much of the 73 kilometre route, which winds through the countryside from Paris to finish with a steep 17% climb into Ancaster. Gunnar Holmgren (Hardwood Next Wave) recorded his third consecutive victory, dropping three other riders on the final climb to win with a time of 2:14:43. Finishing 11 seconds back was Anthony Clark (Squid Bikes), followed at 27 seconds by Jeremy Powers (Aspire Racing). Tyler Clark (Homestead Racing) and Matt Surch (Tekne CC) rounded out the top five. Holmgren joins Mike Garrigan as a three time winner. Another ride of note was 14 year old Dylan Bibic (Midweek CC) finishing 17th overall among the pros, and winning the 11-15 age group. 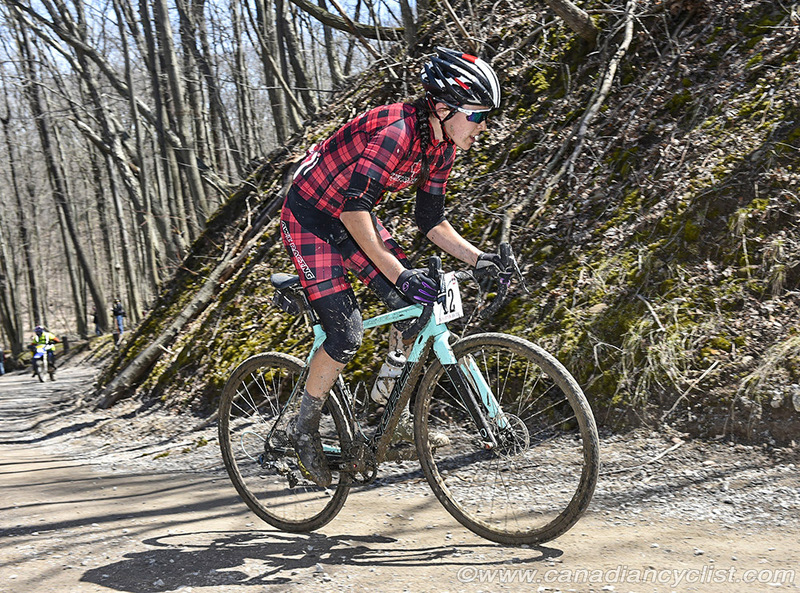 In the women's race, Jenn Jackson (AWI Racing) was an impressive 29th overall to win the women's competition, finishing 42 seconds ahead of Rebecca Fahringer and 3:43 in front of Helen Wyman (Team Xypex). Jodi Wendland (The Cyclery) was fourth and Sue Palmer-Komar (Cyclepath Oakville) fifth. 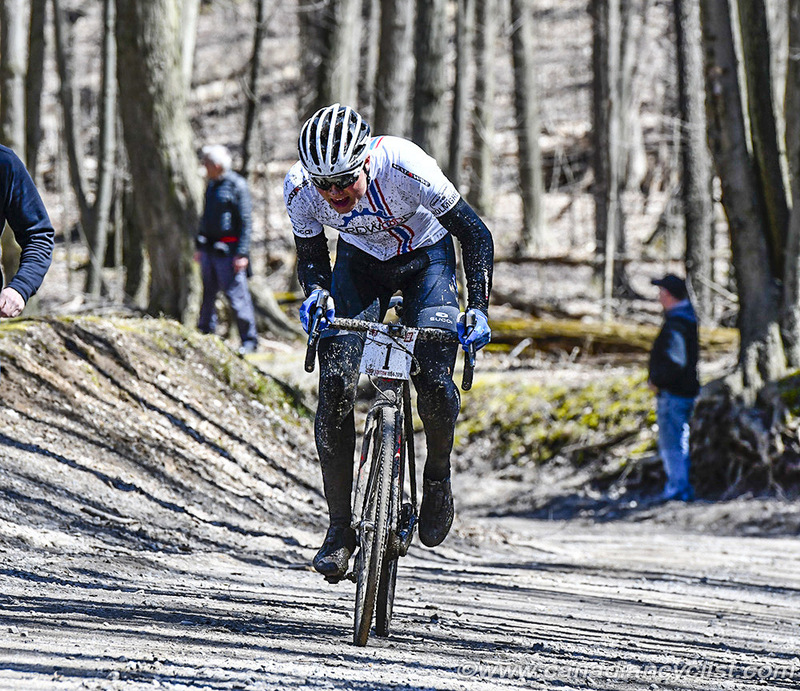 Palmer-Komar is the only four-time winner of Paris to Ancaster.